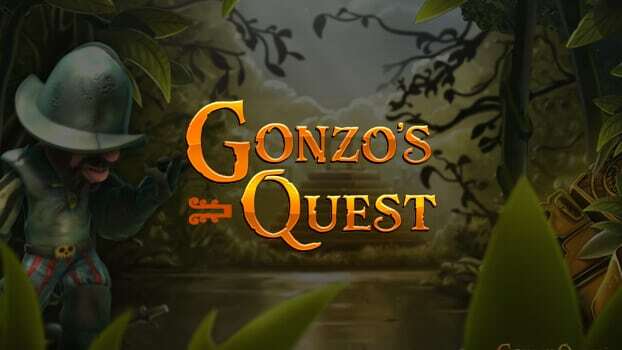 One of the most popular online slots of recent years, Gonzo’s Quest is a NetEnt game based on the life and adventures of the famous conquistador Gonzalo Pizzaro, as he sets out into the New World in search of the riches of El Dorado. Graphically sophisticated and full of character, this is a 3D slot that also has some interesting features, not least of which is NetEnt’s innovative Avalanche game engine, which has gained quite a bit of popularity among players since it first hit NetEnt casinos with the launch of this game. One of the reasons Gonzo’s Quest has proven so popular is that it allows players the flexibility to bet anywhere between 20p and £50 per spin, which means it has broad appeal for all types of players. The base game in Gonzo’s Quest is a five-reel, three-row video slot with 20 fixed paylines, but what lifts it to another level is the Avalanche gameplay system, which delivers some excellent opportunities to chain together wins to bring down some serious jackpots. The symbols in this game, which look like Peruvian artefacts, fall into place rather than spinning into position (hence “Avalanche”). But it’s not just an aesthetic choice, because whenever they form a part of a winning combination, the winning blocks explode and disappear to be replaced by an avalanche of new symbols, which could in turn produce new wins, and so on. This can happen up to four times, with each new Avalanche increasing the multiplier, 1x, 2x, 3x and 5x respectively. When three of the golden Free Fall scatter symbols are stopped on a payline in the leftmost positions the bonus game of 10 free spins is activated. During the Free Falls, the multipliers are further increased, all the way up to a possible 15x multiplier for four or more avalanches, which pretty much guarantees some solid wins. The game also features a Wild symbol, in the form of a question mark-inscribed block, which serves as a substitute for all other symbols. The biggest possible jackpot, based on a maximum £50 bet, is £112,500. Like most NetEnt games, Gonzo’s Quest features some very fun graphics, animations and sound effects. From the sounds of the falling stones (which feature wonderfully designed Peruvian engravings) to the famous conquistador himself cheering you on as you play, the game is an absolute delight from an audiovisual standpoint. The unique graphical engine of Gonzo’s Quest adds much to the entertainment factor, and the speed at which the game can be played makes it anything but dull. It’s a testament to the game’s art team that the graphics and audio are probably the best part of a slot that is famous for its exciting mechanics. Gonzo’s Quest is a slot that has gained lots of popularity over time and for good reason. It features exquisite 3D graphics and immersive sounds, along with gameplay that allows big wins in both the base game and feature game alike, without even having to win any kind of a jackpot. That makes the slot very exciting to play. The game does carry a certain amount of volatility as most big wins will come on the final avalanche, which only comes along every once in a while. That said, Gonzo’s Quest is a premier slot and if you have even just one adventurous bone in your body, you will absolutely want to try this game and join Gonzo on his epic quest for riches.